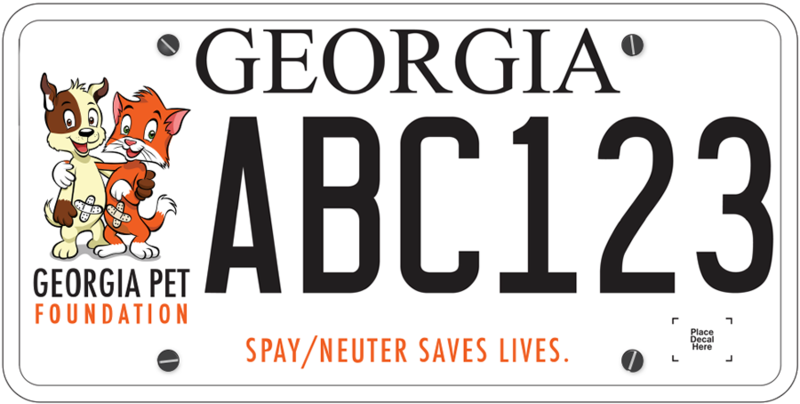 Humane Society of Northeast Georgia is having a neuter special for the month of January. 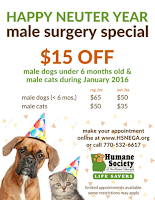 HSNEGA is offering $15 off neuter costs of male dogs 6 months of age and under and male cats - January special prices are $50 for dogs and $35 for cats. Appointment is necessary for neutering. 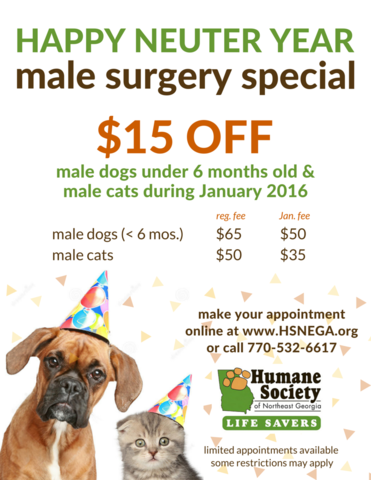 You can schedule your appointment at the link Humane Society of Northeast Georgia or by calling 770-532-6617. Limited appointments are available and some restrictions may apply.